Wasp Nest Removal Church Stretton offer the same day response to all Wasp nest removal enquires from just £60.00 7 days a week with no call out charges. We have bookings available today. 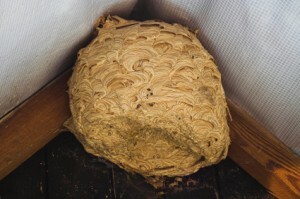 If Wasps Feel Threatened they will swarm so for your safety Please call Wasp nest removal Church Stretton On 07916 322 280 for the same day response to your home or business. For Example in the eaves of your house in a garden wall, tree, bush, birdhouse, loft space or chimney. Wasps will continue to build their nest throughout the summer months and they can reach from 2,000 to 6,000 wasps in a single nest. Wasp nest Removal Church Stretton use only the latest methods to ensure all adult insects and their larva are destroyed.